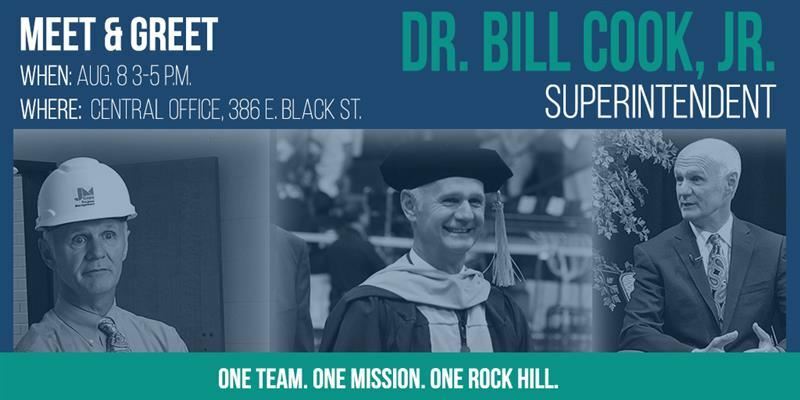 You are invited to join district staff and community leaders on Wednesday, August 8 between 3 – 5 P.M. to welcome new Rock Hill Schools Superintendent Dr. Bill Cook, Jr. The meet and greet will be held at the district’s Central Office located in downtown at 386 E. Black Street. The event is sponsored by the Rock Hill Schools Education Foundation.